Another Tuesday, another evening helping out at Kings Cross Supplementary. I came away from this evening’s efforts very content. One of the things that got me down about the previous school I helped (or tried to help) out at, which I used to call Paradise Primary (mostly because of the lavish physical surroundings), was that the longer it went on, the worse it got. Basically, the children I was teaching gradually worked out that I had no power over them, and that they could do as they pleased. At first, things went well, for as long as the fear of the unknown pertained, but gradually it became futile. Plus, being on my own in the common area of the school, while the real teachers operated in their own classrooms behind closed doors, I never got a chance to discover what decent teaching looked like, or, perhaps more fundamentally, how much teacher stroppiness was regarded as okay, and how much was too much, which meant that I probably erred on the side of not enough. Not enough, that is to say, to get any teaching done. At Kings Cross Supplementary, I can feel myself becoming a better teacher. But it’s not just me getting better, it’s the rules of the place. All the children at Kings Cross Supplementary are there because their parents have chosen and paid for them to be there. So, if a child refuses to do what we reasonably demand, assuming that it is reasonable, he will be in trouble at home as well as getting into a fight with us. Maybe I’m deluding myself, but I get the feeling that, in this regime, I might one day become so good at teaching that I might even become the kind of teacher that a child might choose to be taught by, might actually want to be taught by. What I am sure of is that I am already becoming better at being the kind of teacher that parents want their children to be taught by. They want me to cajole, urge, intimidate, charm, frighten, coax, their basically defenceless progeny into becoming better educated. And I’m getting better at that. 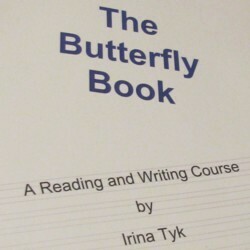 The Butterfly Book. Sorry to keep going on about this, but it really is very good. Just about foolproof, in fact. Just do what it says. I do. It works, at any rate on Small Boy. I also followed, more than previously, Irina Tyk’s advice about not digressing from how it sounds to what it means. See the end of paragraph two of this posting. This meant we made speedier progress, and kept things simple and unconfusing. In fact, Small Boy got really into it, and seemed to be quite enjoying himself. Nothing like understanding everything and knowing all the answers to make you content. Last week we went from Lesson One to Lesson Three. This week: Four to Nine. At Paradise Primary I was sent in to the school armed with an utterly defective and in some parts just plain wrong doctrine of how to teach reading and writing. These Supplementary Schools, on the other hand, have a doctrine about how to teach reading and writing that seems wholly correct, and in which I have complete confidence. I took my own advice (see my thoughts at the end of this posting) about being more of a confident man. The compulsion was tempered with praise. I made Small Boy do what I wanted, but when he’d done it, I said well done. All that I see and all that I hear and all that I read tells me that the human animal (unlike the dog animal) responds best to and learns best from praise rather than criticism and punishment. Correct all errors in a deadpan, matter-of-fact way. (That’s wrong. It’s no big deal, but it is wrong. Don’t worry, you’ll soon get it.) But, tell them what they did right with great enthusiasm and warmth. In between bouts of demanding obedience, and geeing along with praise, I allowed short breaks, during which Small Boy could tell me anything he wanted to (today it was a discussion about the baleful effect of large class sizes at his regular school), and which I ended by resuming the lesson after what I considered to be a proper interval of time. I daresay an informed observer with a video camera could have spotted several other things I did right, and several other things I’m still doing very wrong. Which I trust I will learn about and work out in the weeks and months to come. 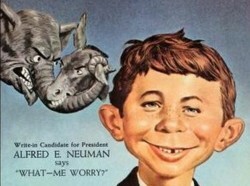 Two things strike me about this resumed blog, so far. First, not many other people are reading it, as yet. But second, the writing of it, and then the re-reading of it, is doing me a power of good. Trawling through the educational “news” is to immerse oneself in an endless litany of disappointed hopes and missed targets. So instead of writing about any of that today, I will write about another little detail that Irina Tyk mentioned in the talk she gave on Saturday. Anyway, what Irina Tyk said was that what you must not do when teaching blending is assemble a number of separate syllables, and then try to put them together. 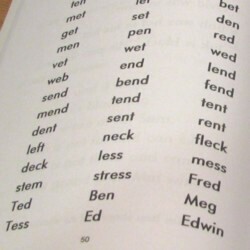 So, if the task is to get the child to read “together”, what you do not do is break together up into “to”, “geth” and “er”, and then try to bolt all that ... together. Blending is done from left to right. If you do need to soften the complexity of it, then cover up “gether” behind a bit of card, leaving only “to” visible. Then slide your card rightwards, and leave “togeth” visible. Then slide it again, revealing all of “together”. You should not cover up “togeth” in order to show that the end goes “er”. Interesting. Well, I think so. In general, Irina Tyk gave me a lot of confidence that she knows exactly how to teach people to read, with all extraneous stuff stripped out of the process. So if on some particular matter I don’t get why she says whatever she says, I am inclined to take her word for it. Today, as flagged up yesterday here, I attended the Supplementary Schools training day. 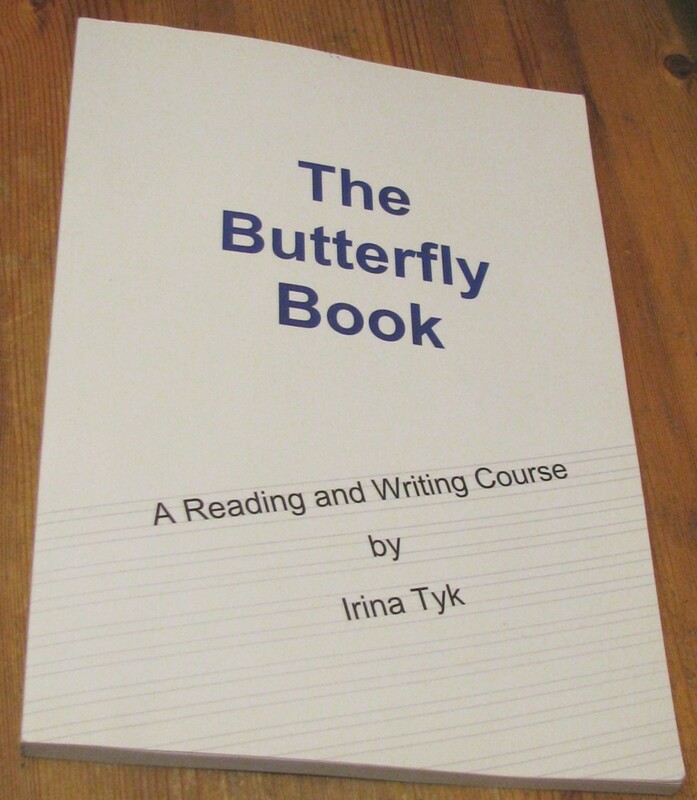 There were several little talks by various teachers, all helpful, and one big one to start with, by Irina Tyk, the writer of the Butterfly Book (see below). She said many interesting and helpful things. I believe that I am now significantly better at teaching reading than I was. To me, the most interesting thing she said concerned the matter of abstract knowledge. The trend in education during recent decades has been, she said, to relate all learning to already existing feelings and sensory experiences of children. If new abstract knowledge is being presented, it is done so by connecting it to sensory experience, like colours, feelings, shapes that they already know, gestures they can do. This is a mistake, she said. 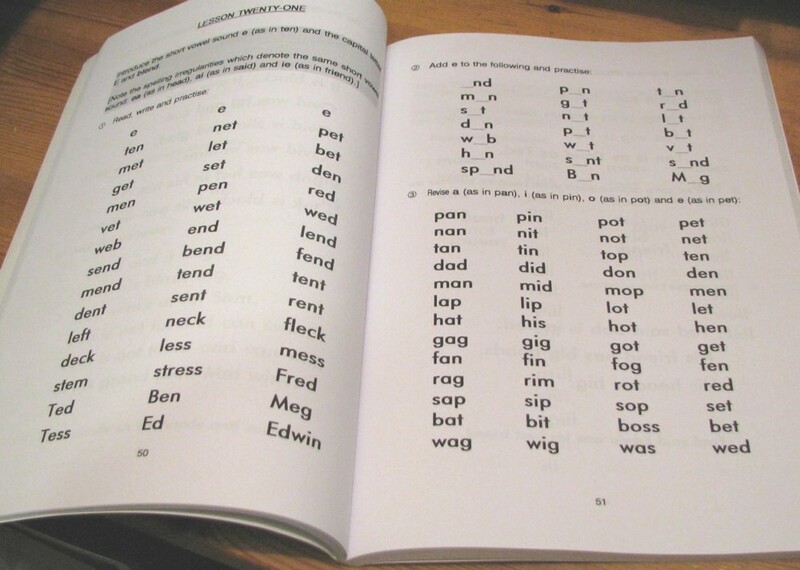 Learning to read means mastering the connections between abstract symbols and sounds. Do not, she said, climbing onto what was clearly one of her hobby horses, confuse the letter S with a snake, as a lot of teachers apparently like to do. (Can snakes be hobby horses? Yes they can.) Doing that only confuses, by introducing N, A, K and E, with all the irrelevant and confusing thoughts those notions might provoke. Keep it clear, and accurate, and stripped of gossip, trivia and irrelevance. S says sssss. Don’t “finally” (a favourite word of hers) say that. Say that straight away. At the end, she also said very interesting things about long words, like “grandiloquent”, and “phantasmagorical”, which she said quite small children could quite easily learn to spell out, even if they don’t know what such words mean and won’t for some time. Gratitude to Alice Bachini-Smith who comments on this with a link to this. Anyway, to the point of this post. Mr Redden met us for the first time, and it was likely to have been more daunting for him than for us. And to break the ice for the first class of the first day, he asked a number of us what we did during the Christmas break. When it came to my turn, I told him I played games with the family, lazed a lot. And read comics. Lots of comics. Every day. He went ballistic, and was more than just scathing about my reading habits. Made a big deal about how reading comics was a treasonable offence, how it spoilt a person’s grasp and command of the language and corrupted his writing ability. I was young enough to feel ashamed; red-faced, tears in my eyes, hot-flushed, that sort of thing. Still standing up, hoping the ground would open up and eat me alive. You know that feeling? Happened to me a lot when I was young, probably built character or something like that. It’s a quite long post with copious comic book illustrations, one of which I have copied and cropped in a way that makes sense to and fun for me, about how he grew up in a household that loved reading. I clicked on his education category, and found, in particular, this. I will also, definitely, be reading this, from March 2006, and following the links in it. Who says blog postings are here to today and gone tomorrow? It takes very little tooking to find them here tomorrow. And it’s not just the money talking. 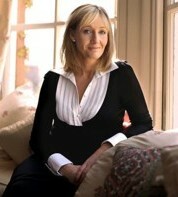 One of her biggest fans - her 14-year-old daughter Jessica - has already put pressure on her to revisit the character. And her younger children - David, four, and Mackenzie, two - are likely to join the clamour for another novel as they discover the Potter books. I am way too old to have actually caught Pottermania, but not so long ago I queued outside a big London bookshop with Goddaughter 2 for the latest one. At midnight. Pandemonium.